Join us as we revolutionize the adhesive industry - no more boring tape! Each roll has 82 feet (25 meters) of 1-7/8" (4.8 cm) wide tape and comes on a handy plastic dispenser. 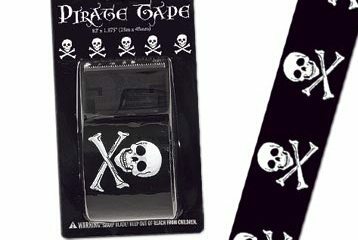 Perfect for decorating, sealing, patching and attaching! We only have Six Rolls left!